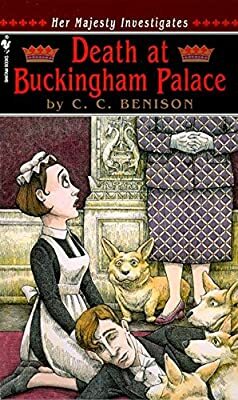 Description: Jane Bee came to Europe for adventure, only to end up with the job of a lifetime: housemaid at Buckingham Palace. Now her greatest challenge is removing gum from State Room carpets—until she comes across a nasty accident right outside the Royal Apartments. The Queen herself has literally stumbled across the dead body of Jane’s good friend, footman and aspiring actor Robin Tukes, in what appears to be a suicide. But why would handsome, impetuous Robin, having just toasted his engagement to a gorgeous housemaid, not to mention his impending fatherhood, want to die? Buck House buzzes, but only Jane, and the Royal Personage known belowstairs as “Mother,” suspect foul play. At Her Majesty’s behest, Jane launches a discreet inquiry that takes her from the Servants’ Hall to the highest echelons of the Palace. Yet the more Jane uncovers, the clearer it becomes that this latest royal scandal is a real killer.